I have a confession to make... my name is Kellie and I am addicted to cloth diapers. There, I said it! Right now, I am in dire need of a haircut and color and I've been rotating the same 2-3 outifts because nothing fits and I need to go shopping, but all I can think about is...CLOTH DIAPERS!! 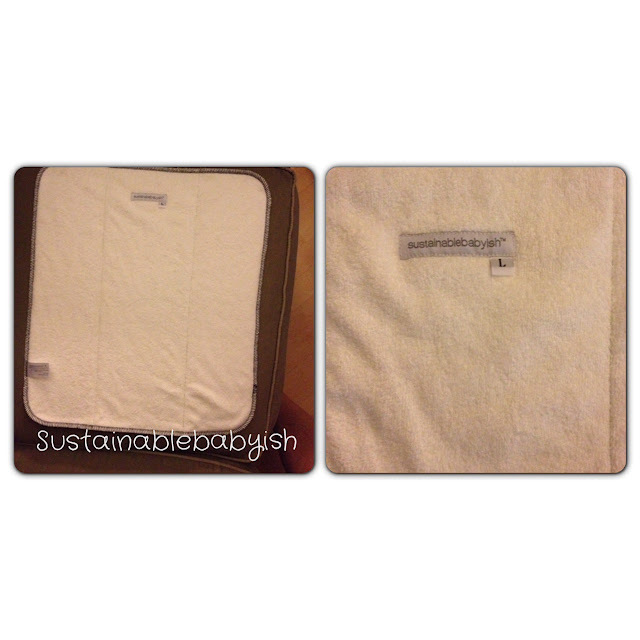 My son is 7 weeks old and we have been using cloth since he was 1 week old. I built a pretty good cloth diaper stash before he was born and bought all of them on Craigslist. 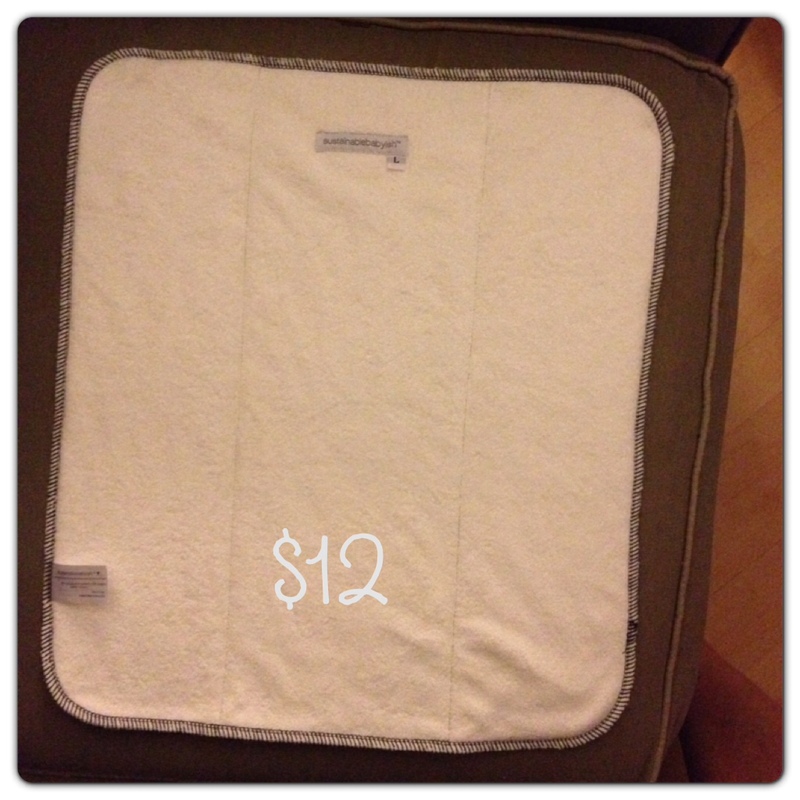 I LOVE finding good deals, so I stalked CL for weeks before I bought any and consulted with a friend of mine before purchasing any. Clearly I show no brand loyalty with cloth. I bought everything pretty neutral because we did not know if we were having a boy or a girl. I got all of this, minus the Thirsties covers and prefolds for $250! I was pretty proud of myself! I also got 4 wetbags, 1 travel wetbag, some disposable liners and CD detergent. 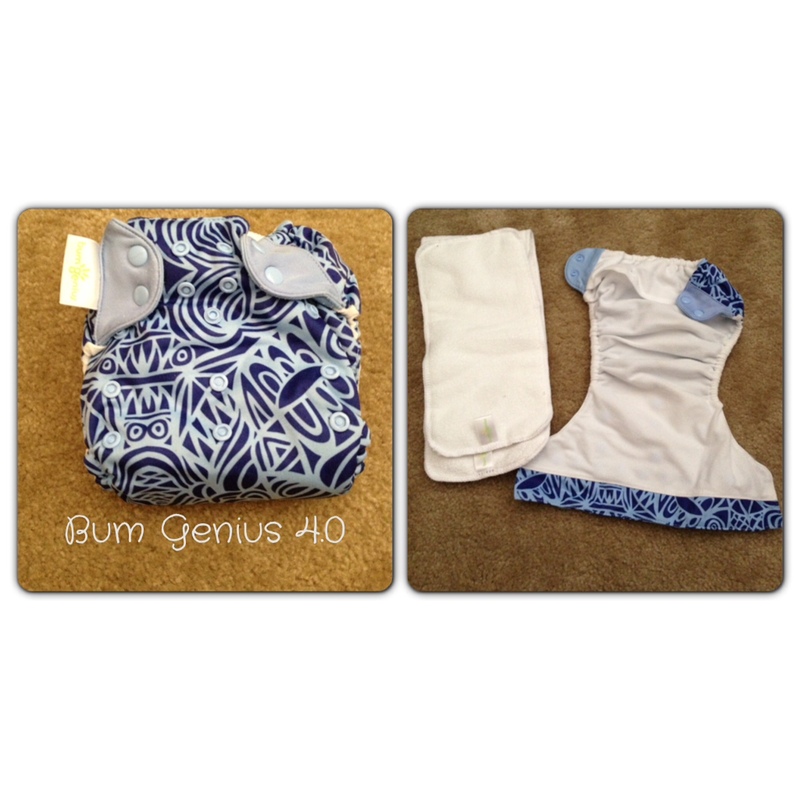 Now that our boy is here, I really wanted to "trade in" the bumGenius 2.0's since they were white. Once I saw how cute my boy looks in cloth, I knew I just could not settle with white. I decided to sell the 9 bumGenius and buy some replacements that were more colorful. I've pretty much been banned from Craigslist for awhile (there are some unfinished projects in our garage that must be finished before buying anything else, I've been told). What was I going to do?! 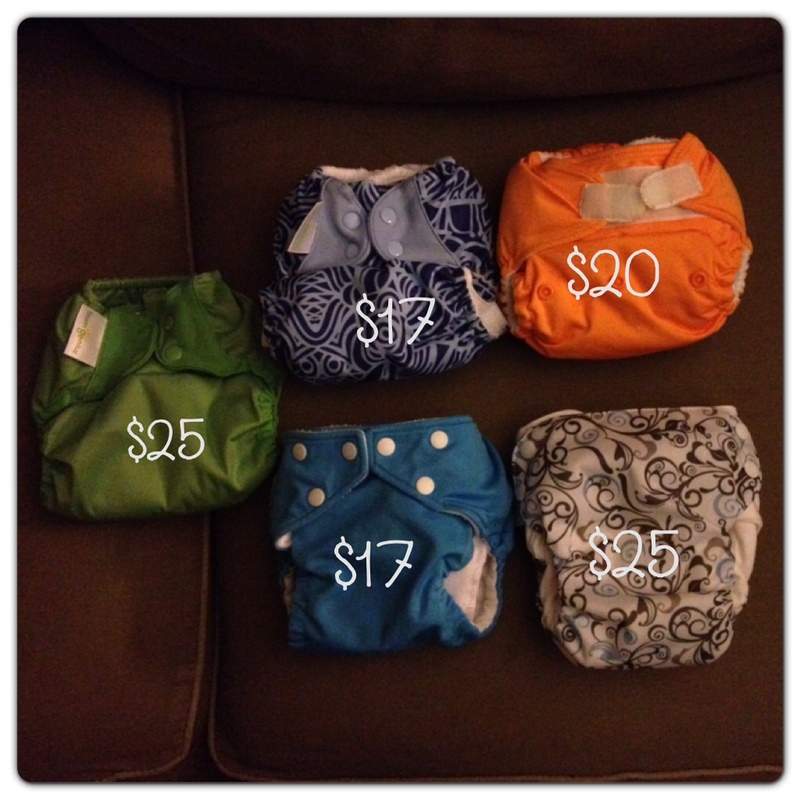 I seriously can't picture myself ever paying full price for cloth diapers. I love them, but I love getting deals just as much! So, this new obsession led me to an online store, Kissed By the Moon. They have something called Mystery Fluff. You can spend a certain amount of money and get a surprise of cloth diapers. For example, if you get "Baby Kisses," you spend $30 and get a surprise worth $30-$40. I did Loved Mystery Fluff, in hopes of getting more for my money and getting used diapers. 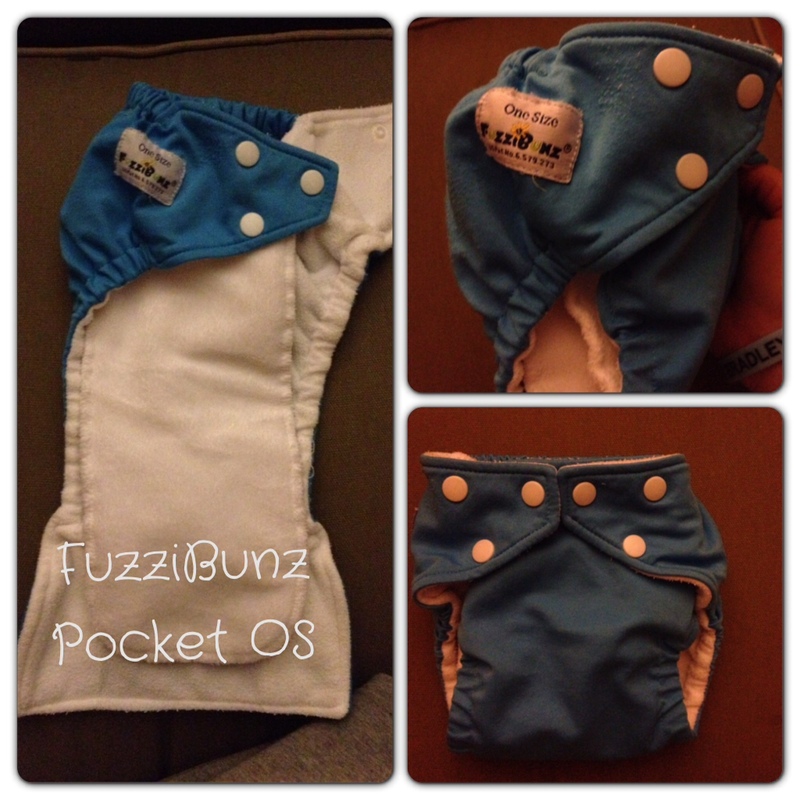 I got $60 for my bumGenius 2.0's, so I purchased the "Mama Kisses" (spend $60 and get a package worth $75). Perfect!! In the comments I requested "I would like OS or Medium diapers, please no GDiapers or white." I ordered my Mystery fluff on Tuesday and was so happy to see a package by my door on Friday afternoon! Yay!! Look who's excited for new diapers too! When I ordered this I was expecting to get 6-7 diapers that were visibly used. 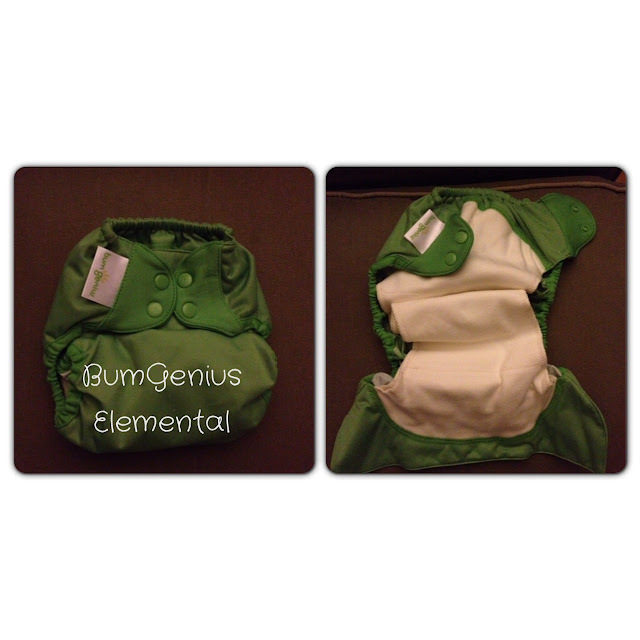 I only received 5 diapers, but two of them (bumGenius Elemental and Simplex) look brand new!! The bumGenius 4.0 is in EEUC too! FuzziBunz and Rumparooz are in GUC, but the wear is more obvious. The Rumparooz velcro is pretty worn, but it still works! I am not the biggest fan of velcro, so I am happy that I only got one... all the rest are snaps! I love doing Mystery Fluff because I get to try new diapers! I am super excited about the Simplex because it's crazy adorable print and it's more narrow between the legs so I think it will fit baby boy great! 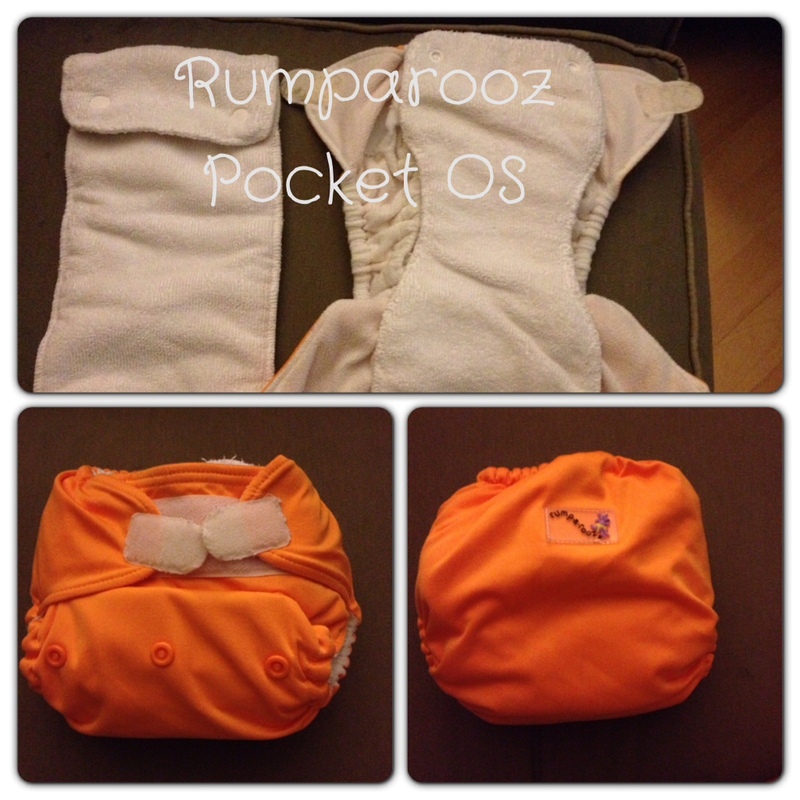 I've also never used the Elemental or Rumparooz Pocket Diapers! If I were to do this again (which I am pretty certain I will!) I would do the same order, but specify that I prefer snaps to velcro in addition to my other requests. I would definitely recommend this to someone who is not set on one specific brand and is interested in trying new diapers. THAT'S $116 worth of diapers for $60!!! Did I mention it's also free shipping for orders of $49 or more too?! 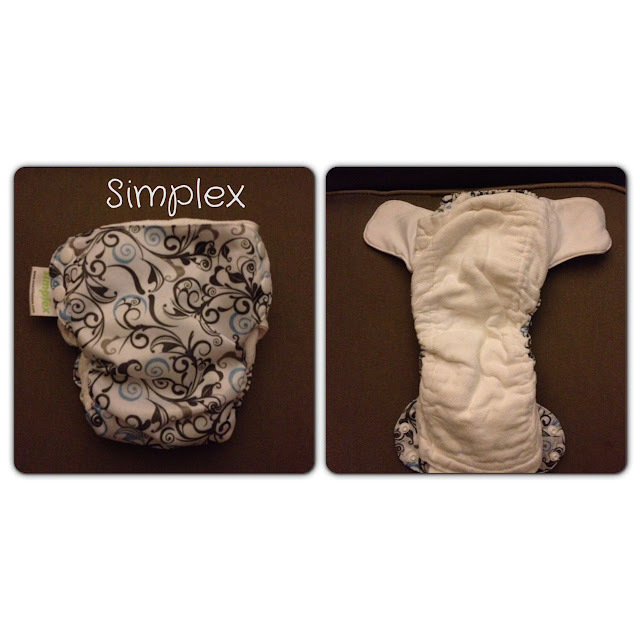 Here's my boy in my new favorite diaper, the Simplex! 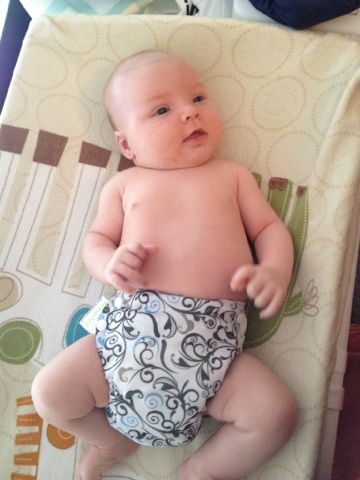 Love the print, love that it is sized (medium), love that it is AIO and LOVE how adorable he looks in it!